If you don’t already download our iPad Magazine each month, today ‘s the perfect day to start, as the seventh issue hits Apple’s Newsstand. This month we’re focusing on emerging markets, a topic at the front of our minds here at The Next Web as we prepare for the TNW Latin America conference in Brazil next month. A mixture of guest contributions and homespun dispatches make up the articles on offer this month, looking at how what’s fuelling the growth of technology industries in countries like Russia, Brazil, Mexico and Turkey. Let’s Ask the Experts: Will Technology deliver the promise? That’s not all, as ever we have a selection of app, movie and book reviews, plus additional content provided by our friends at Little Big Details and 22tracks. In short, this month’s issue is full of great, inspiring technology writing, wrapped in a beautifully designed package – and it’s completely free to download. 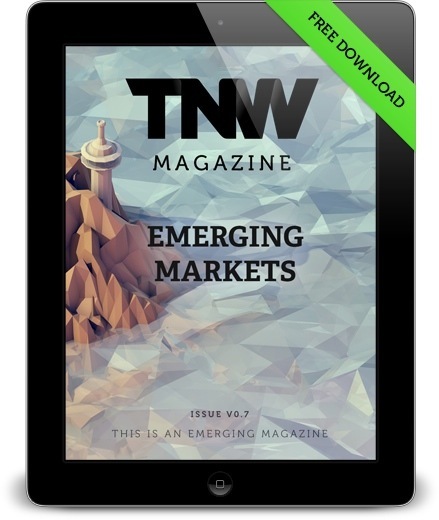 ➤ Download TNW Magazine: Emerging Markets, in the App Store now.